This grilled pizza has tons of flavor coming from grainy mustard, smoked cheddar, Italian sausage, Vidalia onions and Envy apples. This recipe is sponsored by Envy Apples. Scroll down to enter to win a giveaway of a big box of Envy apples sent right to your door and a $150 Visa Gift Card. Each entry also enters you to win a Vitamix blender and a $100 Whole Foods gift card at the end of the summer. Did you know that apples are part of the rose family? I wonder if that’s why they smell so sweet. You’ve gotta love the smell of apples. Imagine an apple pie baking in the oven. Or even that spray of scent when you first bite into a cold crisp apple. When Envy sent me a big box of apples a couple of weeks ago, I instantly crunched in and savored the the smell. And the taste, sweet and slightly floral. I’ve honestly never loved apples as much as I have since these ones filled my fridge. And now I have my newest favorite flavor combination. I’ve used it in kebabs (yes, Grilled Apple, Sausage and Onion Kebabs with Grainy Mustard and Honey) and now it’s on this pizza. The pizza is really amazing. The cheese is smokey and gooey, the sausage is warm and the crust is toasted. But neither the apples nor the onions end up cooked. And that’s a good thing. They add this refreshing crunch. And juicy sweetness from the apple and a bit of a spicy onion heat from the Vidalias (not too much heat, mind you. These are summer sweet Vidalias after all). I’m going to make this flatbread pizza over and over again this summer. I know it! 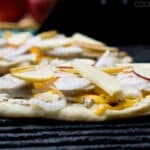 In addition to this grilled pizza recipe, I also have 9 other Envy Apple recipes from some of my favorite bloggers to share with you today. And, I’ve got a giveaway for a big box of Envy apples shipped right to your door and a $150 Visa Gift Card. Each entry for that giveaway also enters you to win our Summer Grand Prize of a Vitamix Blender and a $100 Whole Foods Gift Card. All of this is thanks to the delicious New Zealand fruits: Envy Apples, Taylor’s Gold Pears and Jazz Apples. Scroll down to get to it all. During the summer in the U.S., pears and apples abound in New Zealand. When you see New Zealand pears and apples in the stores they’re super-fresh and ready to eat. 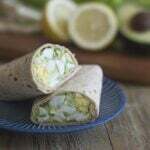 That’s why we’ve teamed up to come up with a bunch of delicious summer recipes featuring New Zealand pears and apples. Follow along all summer on social media using #loveNZfruit and make sure you come back on July 30th when we’re talking about Jazz apples and giving you a chance to win more apples, another Visa gift card and more entries into the Vitamix Blender and Whole Foods gift card giveaway. 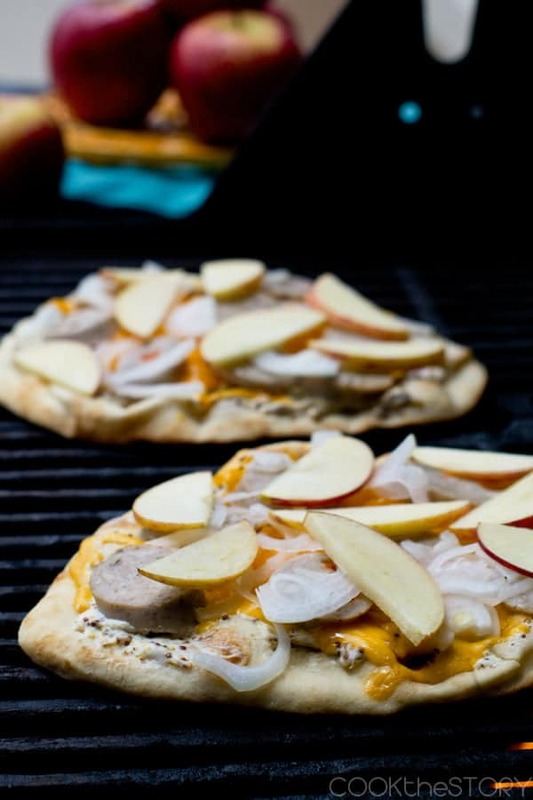 These Apple and Sausage flatbread pizzas serve 2 as an entree or 4 as an appetizer. 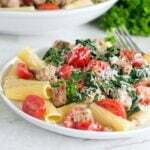 I use a fully-cooked sausage with Italian flavorings found in the organic lunch meat section of my grocery store. Preheat grill to medium heat for direct cooking. 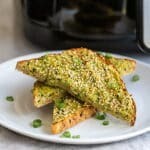 In a small bowl combine cream cheese and grainy mustard. Spread it onto the flatbreads. Sprinkle on the cheddar cheese and then add the sausage, onion and apple slices. Grill 5 to 7 minutes or until bottom is toasted and the cheese is melted. 9 more tasty summer apple recipes! Easy Recipe for Apple Pie Ice Cream Bowls from It’s Yummi! Disclosure: This blog post is sponsored by Envy Apples. They have compensated me for my time and they provided me with apples for recipe development. They also provided the giveaway items. All opinions are my own. i want to try the apple pie bites, they look so yummy. the apple pizza is going on my menu for next week! I really love adding apples and walnuts to my broccoli salad as well. I’d most like to try the Apple Pie Ice Cream Sandwiches recipe! Yum! I would love to try the Summer Salad with Roasted Envy Apple Vinaigrette. Sounds so tasty and refreshing. I would love to try the Apple Trifle with Bourbon Whipped Cream + Caramel Drizzle. It sounds heavenly. Thanks for a great giveaway! This sounds absolutely wonderful!!!! Love the combination of flavors going on! the apple pizza..my mouth is watering. I will try Apple Pie Ice Cream Sandwiches . Oh this looks and sounds divine. 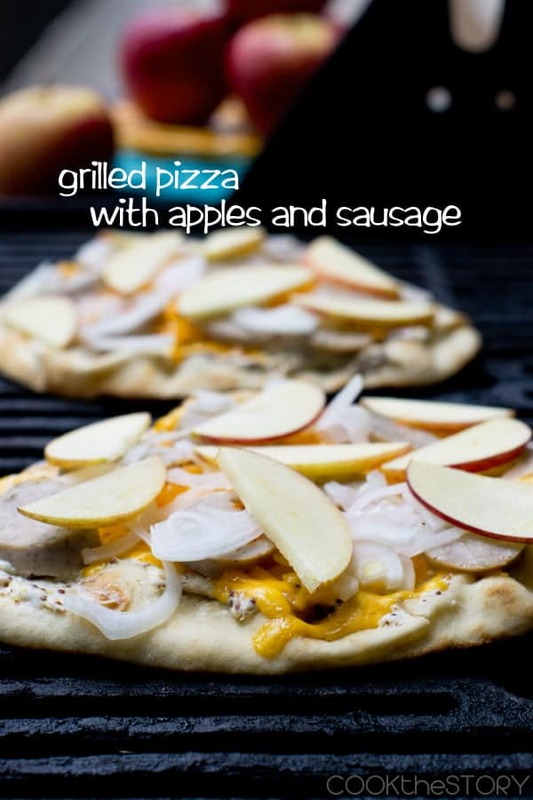 Love grilled pizzas and love the idea of the sausage and apples combo. I love unique pizza toppings and these certainly look amazing! I wan to try them all! We have several apple trees so I always need more recipes using apples. 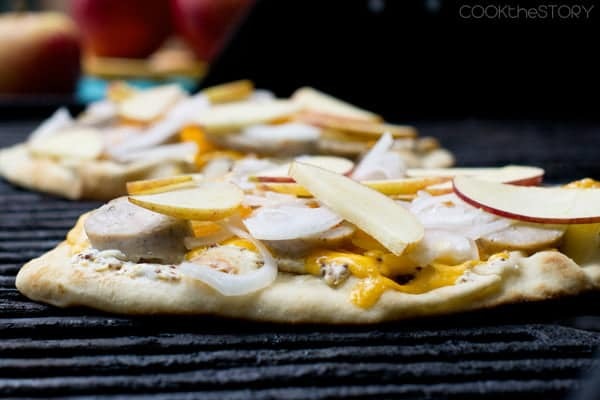 I would start with the grilled pizza with apples and sausage recipe. Yum! Mmmmm…I’ll never say no to pizza!! This looks amazing! Oh my gosh, Chris… this pizza is blowing my mind! LOVE it! Fantastic pizza! I love the addition of the mustard, too! Had no idea that apples are in the rose family. Learning all the time! =) I agree, these Envy Apples are The Bomb! Apples, cheddar, mustard….you’ve got me head over heels with this! And on the grill!? Even better!